Another way to learn the great game of poker is to read books. Read them all and try things you learn at the table. Find which ones fit your style of play. Even if you learn a technique, you try it and decide you don’t like it, then don’t use it. At least you’ll know the move if someone tries to make it on you. We’ll be reading and previewing books here on a regular basis. Serious poker players will tell you that a great way to improve your game is to keep and analyze a record of your play. The Poker Journal helps any player do just that. Packaged small and portable, just like a traditional journal, making it easy for readers to put it in their back pocket or purse to bring along to any game-in a casino or home. The Illustrated Guide to No-Limit Texas Hold’ Em focuses on no-limit poker play, the staple of tournament play and casino poker games across the country. This no-limit Texas Hold’em guide puts you in real-game situations where decisions must be made and you decide the next move. 1000 Best Poker Strategies and Secrets will raise your game to the next level with with strategies from poker pro and back-to-back World Series of Poker ladies championship winner Susie Isaacs. Develop the skills that will help you win big! Think, play and win like a poker pro! This book is full of poker tips and strategies that will help you walk away a winner! Dennis Purdy’s book The Illustrated Guide To Texas Hold’Em Poker, is chock full of real life hand examples, strategies on how to play each and explanations of why the hand is played like it is. It’s a great read and a great way to improve your game. 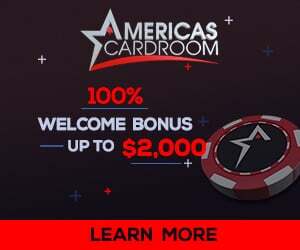 Click here to play at Bodog – Free, safe and secure!